Blaise Maximillian is STILL in the top 100 on Amazon! Buy this book. It’s really rather good. Considering the competition that this book faces on Amazon, it’s absolutely fabulous to see it’s still in the top 100! Not only that, it’s actually in the top 50! Yesterday it even nudged into the top 20. If you have bought this book, please leave a review, even if it’s only a stars review as they all help! 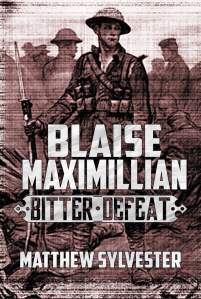 « Blaise Maximillian is in the Amazon top 100!